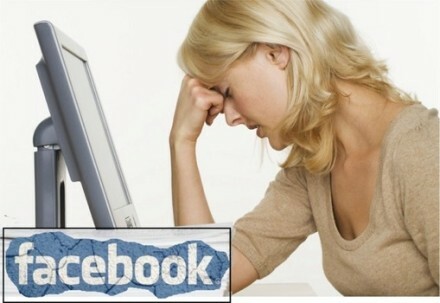 This article includes the top 5 reasons for the failure of a promotional campaign on Facebook. Although Facebook promotions are paid to get ordinary results, many campaigns do not get their desired results. A Facebook promotion campaign is considered to be a failure if it has low click rates and no return on the investment launched. Below are the top five reasons why your promotional campaign on Facebook isn’t working. Many advertisers do not place their ad at right place and they select wrong ad targets as result. Size of a market is another thing which should be considered while placing an ad or selecting an ad target market. Some markets have a very big size while others have too small. Previous results which garnered good results from your Facebook campaign can also be used as an indicator for more promotion in the same targeted market. The image and look of your Facebook promotional campaign plays a very big role in it’s success. Facebook is a totally social site and people join in too see their friends and family, and most of the time, they ignore to look at the ads. An eye catching image is vital in attracting the attention of potential customers. You have to understand that most people sign up for Facebook to socialize with others, you have to make your image catchy enough to make them want to consider even a glance at what you are trying to promote. Text description and title of the product being promoted also plays a main role in the success of your Facebook campaign. Your text description should accurately present in words what’s so great about your product. Choose your words wisely as Facebook only allows a maximum of 25 characters for the title promotion and a maximum of 135 characters for the product description. Needless to say, once you have grabbed the attention of your target market, a good amount of product info is necessary to keep their attention on what it is you are trying to promote. Some of the promotions on Facebook also fail because all required details are not provided. Take for example a sales promotion for any product and the price is not listed. Obviously, potential readers who might also be potential buyers will find it hard to make a purchase if they don’t know the price tag. So before promoting any campaign on Facebook, make sure that all the required (basic) details are properly filled out. This is also a major reason for the failure of any promotion on Facebook. Promotions should be updated so readers can find the most current information about the product. In this matter, the term “out of date” is subjective. Some promoters believe that a promotion can be out of date even only after 3 days, even a bit longer in some cases. Promotional campaigns made on Facebook are meant to entice users to check your product out. A properly executed campaign would make Facebook users want to check out the promotion. If the above mentioned points are kept in mind before starting any promotional campaign on Facebook, success can be achieved in a timely manner. Austin Richard is an IT professional from self test training. If you are looking for this kind of Selftesttraining assistance, move ahead to take the benefit of Adobe Practice Test and pass your exams easily.